As much as we love and cherish our feline friends, the number of times they wander off cannot be ignored. Their cute little paws just love to explore and whilst checking what the neighbour’s cats are having for lunch down the block. As thrilling as this may be for them, strolling off without a suitable collar can be quite unsafe. 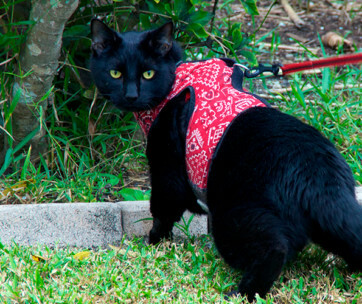 While some argue that putting a collar on a cat might pose some dangers, it is the surest way to ensure his or her safety. With a cat collar, you can rest assured they can easily be identified and returned as soon as possible every time they sneak out of the house. We have put together the best collars most suitable for a top cat with class. Keep reading and conveniently select from the most stylish, premium quality and durably designed cat collars in the market. Adorning your cats’ neck with fancy cat collars could be quite the task. Choosing between affordability, functionality, durability and comfort shouldn’t be the issue. The Coastal Pet Products ElastaCat Pet Collar provides all those features and more putting the comfort of your cat first. Manufactured with quality long lasting materials that are extremely comfortable for your furry friends’ skin. Normally a good cat collar should have a loose comfortable fit to ensure peaked convenience when it’s worn. The ElastaCat pet collar comes with an adjustable buckle that can easily be unbuckled and refitted for everyday use. What makes this buckle system interesting is that it can easily sink into the interwoven cloth material. This allows for more size options for both relatively smaller and larger cats. The material itself is quite stretchy which allows enough room for expansion if your cat ever gets tangled. The collar is slim with high quality elasticity to ensure it doesn’t pop off after every occasional scratch or yank. The reflective strands are woven into the piece to reflect off torch, lamp or car lights for easier identification especially at night. This is great at ensuring extra protection while providing that extra bling to your cats’ neck. 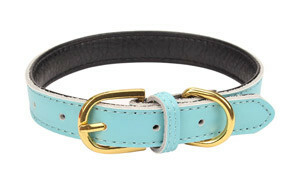 Quite frankly, this piece is one of the first collars your four-legged-friend should try on. Its extra comfortable feel will ensure they are less cranky and get used to having a fancy, yet fashionable neck piece on most of the time. If you’re looking for a stylish and durable leather cat collar, this next phenomenal piece will surely have you strapped. The AOLOVE Basic Classic Padded Leather Pet Collars is made from quality leather and alloy. The leather is padded to ensure optimal convenience for your precious little companion. With different colour options to choose from, you can comfortably pick out what suits your cat the most. The size allowances are very commendable; it was definitely designed to suit most cats regardless of their size and weight. It includes five adjustment holes which are suitable for a kitten or a pup. As they grow you can keep adjusting the collar to suit their current weight without having to purchase a new one so fast. The price of this classy piece is quite affordable compared to its great quality. Most times, when paying such an amount for a product, one would expect to receive a collar of fair quality. However, from the reviews, most users went on to use this fancy, adjustable cat collar months/years after their initial purchase and it was still in perfect condition. To ensure the collar doesn’t go flying off after every wiggle, the nickel-plated hardware and exquisite D-ring add extra security. Regardless of the generous size adjustments available, it is important to measure your cats’ neck to ensure he/she gets the right size. The Lionet Paws Dog Cat Collar Adjustable Bowtie Collar has to be one of the cutest things you’ll see on your pet. Depending on the style your little feline likes to pull off, this collar will aptly complete that chic look. All of the Lionet collars are made from premium quality, 100% cotton fabric to provide the utmost comfort. It is easily adjustable to ensure the sizes are universal enough to suit all our furry feline friends. Once strapped in, the adjustments provide an easy avenue to tighten or loosen the collar for a classy and personalised cat collar. The bowtie itself is detachable and can be attached to any other collar he/she owns with an elastic strap. All the bowties are carefully and skilfully hand sewn and it’s obvious the designers pay attention to detail. The buckles that fasten at the back are made from stainless steel providing that standard shiny glow. With a buckle system, sometimes we find that it pulls or breaks off after continued use probably because of the quality of the material. However, the D-rings are properly fused to ensure the hardware remains strong overtime. Due to the adventurous lifestyle of your kitty, it is best to clean out the collar regularly. The bowties should not be put in a washing machine but can be lightly cleaned using water and mild soap. As much as our pets can’t walk around with their passports or drivers licence safely tucked away in their wallets, they still need a valid I.D. The Flower Town Personalized Breakaway Cat Collars with Safety Release Buckle gives users the option to enter their pets name and the owners’ number. This information will be neatly embroidered unto the collar to ensure that your cat will be aptly identified as a pet and not a stray whenever they go mingling. There are 5 different colours available with 15 embroidery thread colours to choose from, making it easier to pick out what best suits your pet. The colours of the tag and the thread used for the embroidery are all chosen by you and everything is customised down to the last detail. Knowing how fidgety your pet can get, a smart quick release buckle was included to ensure the collar will safely release if it gets caught in something. The collar measures 3/8 inches wide and can be fully adjustable from the initial 8 inches to 12 inches. The collar is also made from durable nylon webbing ensuring it is comfortable on the skin. The edges have been well made to provide that smooth feel; they are extra tapered to ensure the sharpness does not discomfort your pet. The bells at the side keep a tab on the location of your cat, alerting you of any attempt of a quick getaway. This easy and simple design will go a long way in ensuring the safety of your feline friend any time he or she wanders off. 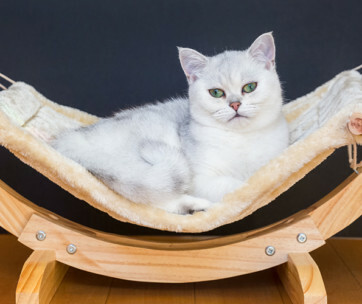 As much as users want to keep their pets safe, they are also looking for a great looking, comfortable and durable accessory to spice up their top cat’s appearance. The Blueberry Pet Pack of 2 Safety Breakaway Cat Collars with personalised option offers two new cat neck pieces. 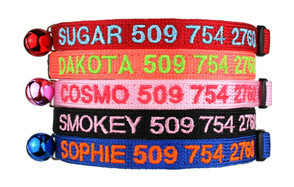 The Blueberry collars come in an array of various warm yet not overly bright colours. There is everything to love about the sweetly patterned geometric design that’ll have many admiring the artwork lying gorgeously on your pets’ neck. They are both stylishly and durably designed using high density polyester webbing. The neck size ranges from 9-13 inches while the width is 3/8 inches wide. Maintaining polyester is quite simple as it washes easily and dries out quite fast. This makes the collar less stressful to clean ensuring it will dry out in no time ready to be worn again. The collar features an adjustable buckle that allows users to suitably fit the collar on their pets’ neck. In cases where your feline friend mistakenly gets stuck or wedged on something, the breakaway feature aids a fast escape. The breakaway functions as a safety mechanism ensuring the collar will easily pull free if your cat gets stuck to avoid strangulation. Both the collars come with these amazing features to enable Mr/Ms Kitty switch up their style while staying safe. Nothing spells out quality like a premium cotton material made specially to ensure comfort and durability. The USP Pet Soft &Comfy Bowtie Cat Collar will have your pet looking all prim and proper. It’s probably not because they watch puss in boots a lot, but even indoor cats tend to love adventure. 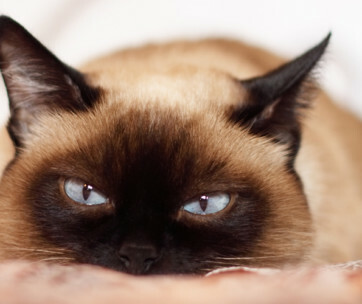 A cat without proper identification would probably be viewed as a stray pet or wild cat, no matter how clean they look. Their best insurance is to always have a nametag and home address or number attached to their collars. These collars are extremely stylish and are great for occasions; going to parties doesn’t have to be boring anymore. All the collars are sewn from 104% cotton designer material and also sewn on cotton spreading. The breathable, soft material will ensure your pet eases into the comfort the fabric provides. Most times, getting them to keep their collars on is a tasking challenge but an extra comfy collar material and reliable D-rings is sure to do the trick. The D-rings are made from heavy duty material purposed for optimum durability. With extra strong and sturdy buckles the collar is easily adjustable and sure to stay safely in place. The patterns on most collars vary, so the order you receive may not be the same as the one seen on the sample picture. When looking for the perfect regal look for your pet cat, the BINGPET Adjustable Cat Collar should be the first pick. This extra fancy and comfortable collar is definitely not for the simple at heart. Everything about this collar is lush, posh and classy. This statement piece is made from soft pure velvet material and is one of the most exquisite kitten collars you will find. This material is sure to provide the lush comfort your pet needs and rightly deserves. The diamante bling is securely placed on the velvet material to ensure it doesn’t peel off and the collar itself can be adjusted from 8-inches to about 10-inches to perfectly suit a larger range of bling loving pets. The width around the neck measures 3/8- inches wide to fit kittens, big cats and puppies alike. This is great for indoor pets that don’t really go outside but prefer the comforts of their royal abodes a.k.a soft pillows. It may arguably look like more of a fashion accessory; however, the attached bell helps you keep proper tabs on their movements. Just in case your pet prince or princess prefers to be a ninja cat at certain times of the day, the elastic belt is included for extra safety. The expandable collar ensures it can easily be pulled or taken off in case any of emergencies. One of the best ways to show love to your feline friend is by purchasing the KOOLTAIL Heart Bling Cat Collar with Safety Belt. Made with velvet material to ensure extra comfort, speeding up the rate at which your pet will get used to this collar. It is no secret that most pets will fight anyone who tries to put a strange bling-y ornament round their necks. They’d rather probably have you hand it to them so they can play around. While the KoolTail is no play object, it will most definitely serve as the perfect accessory. It comes in 6 different colours; red, blue, pink, black and purple. It features a beautiful eye-catching crystal heart charm that rests sturdily on the neck. It is made to suit most cats with a relatively universal size of 8-11 inches with 20-30cm adjustable neck width. It may not have the breakaway feature, however, the elastic belt was added in the design to ensure safety. The stretchable band will effectively expand to ensure your cat can pull away from any fuzzy situation he/she gets into. The collar is quite lightweight to ensure optimal comfort so it doesn’t weigh the neck down. It also comes with a bell to ensure you can ‘hear’ where they are going. The USP Pet Soft & Comfy Bowtie Cat Collar provides that business class look. Made with a 100% cotton material and also sewn on cotton spreading for the purest, most comfortable finish. It is one of the most adorable cat collars you will find out in the market. This collar has very durable and reliable hardware; the D-rings were made to firmly stay in place. The bowtie loudly gives your cat the ‘I mean Business’ look, satisfactorily providing him/her the professional look they’ve probably always secretly desired. 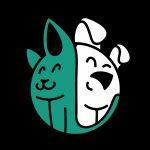 The bowtie is hand sewn with care to ensure every special kitty gets a quality, well-made bowtie to complement their look. The amazing thing about detachable bows is the fact that they can be washed easier with care. Although it’s easier to wash everything in the machine, for the longevity of this bowtie, it is better off hand-washed with mild soap and a good rinse. This collar is great for outdoor occasions or photoshoots to make the most dapper memories. The USP collar is very durable and provides a great amount of comfort while still ensuring your pet’s safety. We have already established that it doesn’t really matter if your cat is an indoor or outdoor pet, they may still find a way out of the house. However, a cat collar is mostly beneficial for rescue pets, while they are extra happy to have a home again they may still not be used to it. One of the first things to get for a rescue pet is a reliable, comfortable and durable collar. The Waaag Pet Collar Gold Moons Stars Cat Collar will ensure they stay safe. 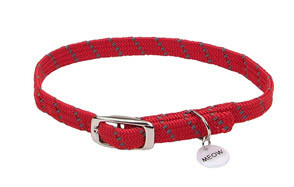 This breakaway cat collar was handmade and designed in the USA. It’s a very fashionable and attractive piece that will no doubt pull extra attention to your pet cat. The breakaway feature is quite functional; it will not pull out easily except with a good amount of force. While your furry feline friend may not be able to talk, this fancy cat collar will definitely help make a bold fashion statement. The neck size measures 6.5 -10 inches while the neck width is 3/8, it should fit small kittens and large cats alike. This beautifully designed moon and stars neck piece feature a charm and a bell just to add more class to the collar. The bell is definitely more than just an added accessory; the sounds will help you keep tabs on the pawed adventurer’s movements. The glow in the dark function works great for cat ninjas that like to protect and defend in the night, or have probably figured that’s the best time to sneak out. This feature will easily help others know your pet is out there especially in the gloom of the night. We have heard about dog collars and how important they are for walking and identifying them. Cat collars are just as important for safety reasons and just the mere thought of beautifully accessorising them. We have outlined below the important things to consider when picking out a durable, comfortable and functional custom cat collar. One of the most important reasons for getting a cat collar is security. Getting a collar is the best way to ensure your cat can easily be identified and returned whenever they wander off. Without a suitable and informative collar, people may assume your cat is a stray or wild one. This is incredibly useful for outdoor cats or rescue cats as they are more liable to run off. It is important to establish the reason why you are getting a cat collar. This will easily help you pick out a suitable one. They are many types of collars ranging from an Identification collar which should have personal details customised on the collar or on a tag. They are also tags that help to repel insects, especially fleas. Others have more special features such as glow in the dark functions, reflectivity, and more. 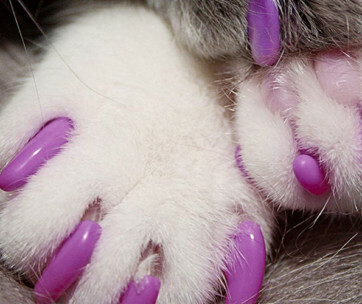 It’s no secret that cats prefer to wear just one thing, and that is their fur! It will take a lot to convince them to wear a foreign object meant to protect them. The fabric used to make and design the collar should be comfortable enough on the coat. Materials such as nylon, cotton, padded leather or velvet are suitable fabrics for a collar. This will definitely help ease the thought of an object on their neck without providing any discomfort. We know just how adventurous some pets can get, and so even when a collar should provide security it could end up being unsafe without a breakaway feature. This feature allows the latch to easily pull open when enough force is applied to it. In this case, in times when you are not around and the furry feline gets entangled or stuck, the collar would easily break free. Without this option, a normal collar could sadly end up strangling or greatly discomforting the helpless cat. A good break away collar should not easily come off when tugged at, but should break free in such times when the cat is stuck. They are different reasons to purchase a cat collar. Sometimes it can simply be used as a fashionable accessory and addition to their bling collection. Most importantly it is the best way to ensure your furry friend is safe even when you are not physically around. A good I.D collar will help tell anyone where to return a cat or who to call in the case where your cat gets lost. This is more helpful for cats with medical conditions. A collar with their medical information would definitely save them when they are found. First off, the urgency at which you would be contacted would be quite prompt. 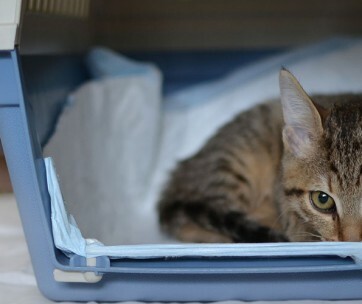 In cases where you cannot be reached on time, the kind finders would most probably take your kitty to the vet. Large Collars and Bells: large collars or bells may just end up getting your cat very uncomfortable. Large bells tend to be very loud which would probably terrify him/her. A lightweight, sizeable collar is the best to ensure comfort and convenience. Sharp Edges and Buckles: watch out for collars that have objects, charms and buckles with sharp pointed edges. 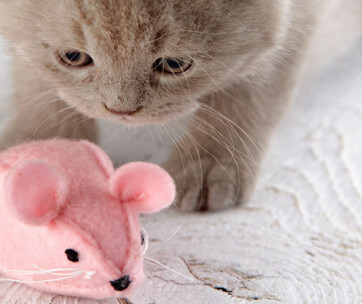 This could highly irritate or bruise your cats’ skin. Q: Do bells keep your cat from catching birds? A: it probably won’t. Cats’ are naturally stealthy when it comes to hunting their prey, if this is a concern, however, the bells can be detached when they are outside. A: it is best to measure your cat to know their exact size so you don’t get an undersized or oversized collar. Also compare these sizes to the provided product size guide. Q: Is a microchip important? A: a cat collar with an I.D tag is more ideal. If your cat has not previously had a microchip inserted in there is really no use. Q: Can I attach an ID tag on my cats’ collars?